Clear, engaging chapters present biographies of American luminaries. Every vignette demonstrates an important and effective lesson for those wishing to take charge. Today’s managers and leaders will be able to implement practices such as taking initiative and leading by example, as demonstrated by these illuminating stories. 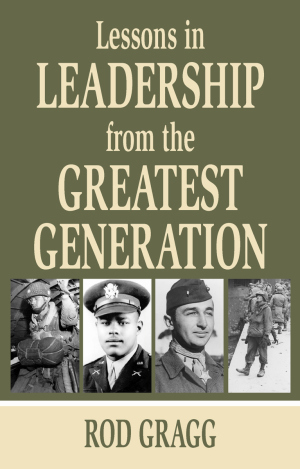 Famed leaders such as Gen. Dwight D. Eisenhower and Adm. Chester Nimitz are featured, as are lesser-known heroes of the war. Elaine Wright persevered through the grief of losing her only son to take care of soldiers at the USO canteen. Combat medic Desmond Doss refused to compromise his integrity and take arms against other human beings and single-handedly saved more than seventy-five men in one bloody day of fighting on Okinawa. Maj. Richard Winters, leader of the famous Band of Brothers, made every action an example for his men. Today’s leaders are not fighting the same battles, but the same characteristics are vital to anyone who wishes to successfully manage a group of people. 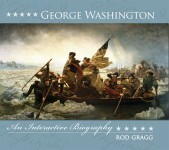 Rod Gragg is the author of numerous works of history, including George Washington: An Interactive Biography; Robert E. Lee: Character and Valor; and Planters, Pirates, and Patriots: Historical Tales from the South Carolina Grand Strand. His books have won the James I. Robertson Award, the Douglas Southall Freeman Award, the Jefferson Davis Medal, and the Fletcher Pratt Award and have been selected for the Book-of-the-Month Club®, the History Book Club, and the Military History Book Club. A native of Conway, South Carolina, he earned his BA in journalism and MA in American history from the University of South Carolina. He and his family live on the South Carolina Grand Strand. "Whenever I stop by the USO canteen in the Columbia Metropolitan Airport, I will think about Elaine Wright. Youâ€™ve probably never heard of Elaine.